Synopsis, Our Opinion: A FANTASTIC Corsican red wine that every wine-drinker can afford. 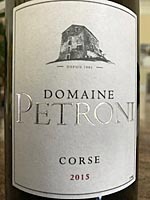 Producer/Winery: Domaine Petroni; Corsica, France. 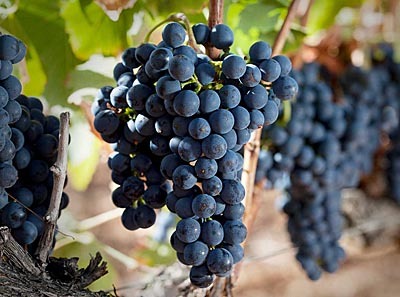 Grape Variety: Blend – 50% Niellucciu, 35% Syrah and 15% Grenache. Geographic Appellation, Region, Country: Corse; Corsica, France. Paired With: Ground lamb pizza with roasted tomato sauce, onions, garlic, bell peppers and Parmesan cheese. Opened one hour before drinking. Clear, ruby color with a slightly brownish rim. Zesty cherry, wet wood and northern evergreen forest aromas. Earthy, dry, medium body and a 150-grit texture. Vigorous spicy cherry, raspberry and plum flavors, plentiful bright acidity, slightly grippy structured tannins and a long flavorful finish with a fennel taste. WOW, a robust red blend that has characteristics of Sangiovese, but with a substance of much more sophisticated red wine. The smooth, spiciness paired well with the lamb and it would probably pair well with a wide variety of foods. Way more aromas, flavors and depth than you usually find in a wine at this price point…this is what a TastedOnline.com Quality Wine at a Bargain Price is all about and we give it a solid four thumbs up rating. A FANTASTIC Corsican red wine that every wine-drinker can afford.